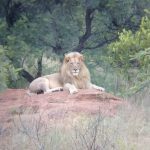 Today, November 21st 2018 we received a call from a guide in the Pilanesberg NP. 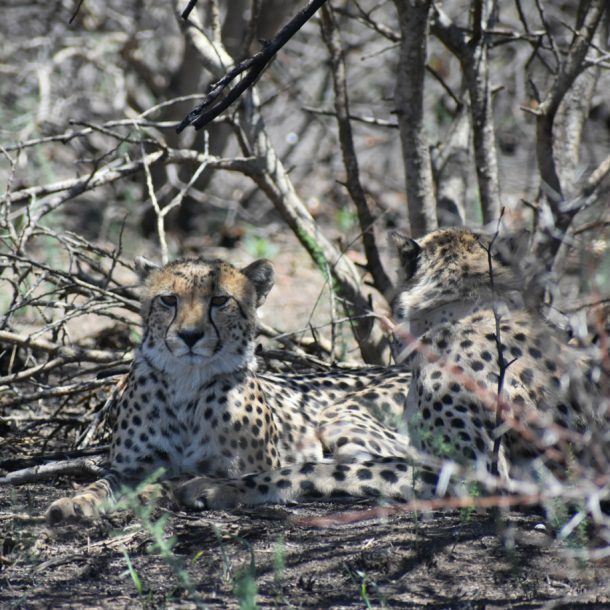 He was excited about a sighting he witnessed with the two cheetah males that came from the DGR less than a month ago. He saw them taking down a blue wildebeest. 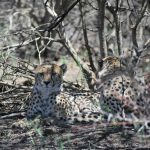 While this was something special already – usually cheetahs go for smaller antelopes, and even small prey such as hares and Guinea fowls – the sighting took a completely different twist and new dimension when a leopard entered the scene. Quite contrary to expectation, our Lalibela Males didn’t back off and abandon their kill. 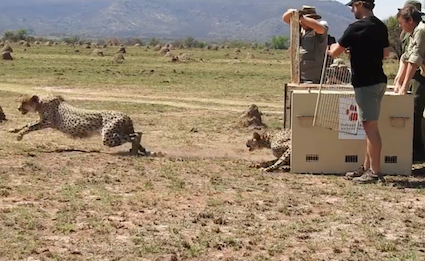 They confronted the leopard and ultimately chased him away and depriving him of a great feast. 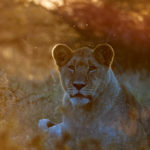 Dinokeng Game Reserve is a place where wild animals grow strong and bold. Our fine males gained much respect from the guide. And he is looking forward to more great sightings with them.